[caption id="attachment_5745" align="alignnone" width="300"] The Indian space research organization or ISRO's GSAT-11 satellite is also called "Big Bird", which was successfully launched in space in the South American space port of Kourou on Wednesday. 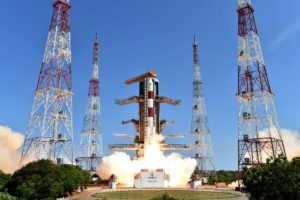 [/caption] The Indian space research organization or ISRO's GSAT-11 satellite is also called "Big Bird", which was successfully launched in space in the South American space port of Kourou on Wednesday. Bangalore: Indian space research organization or ISRO's GSAT-11 satellite is also called "Big Bird", which was successfully launched in space in South America today by the French space port of Kourou. Why resolving India’s farm crisis is important and how to . Economic reforms have failed to solve asymmetry between agricultural share in agriculture and low share in GDP. Farmers, who participated in the Kisan Mukti March in March, in the month of November 30, 2018, farmers of 24 states have joined in protest against their demands for inclusion, in which beneficiaries of debt relief and their production Price includes. (PTI) Thousands of farmers on Friday demanded loans on Parliament Street and demanded on profit prices, including the procurement of their produce. Opposition parties, especially Left-linked farmer organizations, played a vital role in the movement. Regardless of politics, there are systematic roots in India's rural crisis, which need to be addressed at policy levels. There are four reasons why the opposition of farmers should be taken seriously. Economic reforms have failed to solve inequality between the high share of agriculture and low share in GDP. This has resulted in agricultural income, which is the biggest source of employment in the Indian economy. The markets have failed to provide relief in the increase in agricultural income or generating substantial non-agricultural jobs. This is the biggest challenge for India's structural change. As soon as US Space Agency NASA's Mars Insight Lender, the In Sight Planet, landed on Mars on Monday night, NASA's Jet Propulsion Laborator started a period of happiness and congratulations. The Insight of the American Space Agency NASA landed on the planet Mars and also sent the first picture of the red planet i.e. Mars. It is believed that this can give us more information about the Earth.NASA's 'Mars Insight Vehicle' has landed after about 7 years of travel. This is the eighth successful landing on Mars in NASA history. Explain that Insight entered at the speed of 19,800 kilometers per hour in the outer environment of Mars, and it was reduced to the speed of 8 kilometers per hour before landing on Mars. 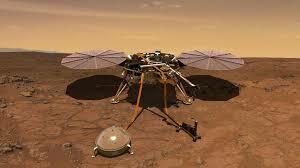 This is the first attempt to land a spacecraft on the neighboring planets of NASA after 2012. Mars launched on May 5, NASA's first spacecraft to land on Mars after 'Curiosity Rover' in 2012, 'Interior Exploration Using Sesamic Investigations, Geodesy and Heat Transport' (Insight) Lender 2012.Operator who controls this mission in NASA confirmed the landing of Inside. Earlier, more than 43 efforts to reach Mars with rovers, classrooms and investigations by space agencies from around the world have failed. According to the report, this vehicle is using the semimometer to study the planet's internal synthesis, which will help us to figure out how it was formed and why it is so different from the Earth.